Here’s our fantasy premier league teams GW12 article where we give our early thoughts on the FFGeek team for GW12. We look back at gameweek 11, The monitor list, transfer thoughts plus early captain thinking. 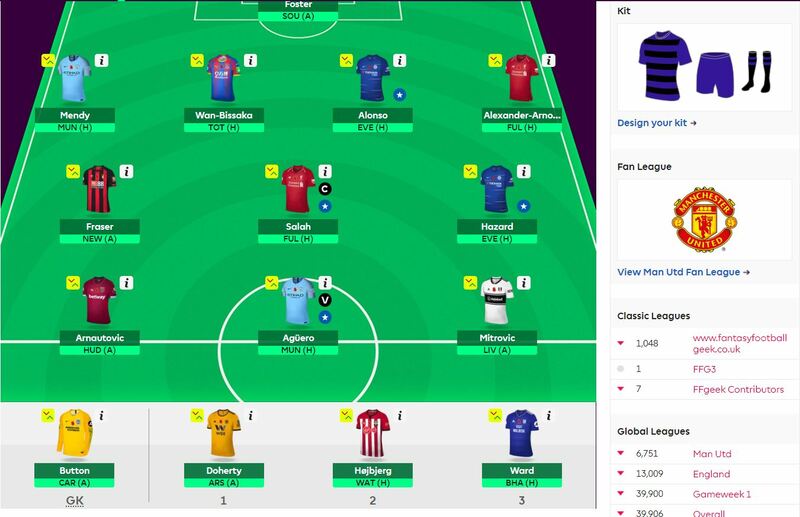 So a gameweek that was all about Richarlison and Arnautovic in reality as long as you didn’t deviate from the overwhelming captain favourite in Aguero. I brought in Arnautovic for the gameweek but didn’t have Richarlison and paid the price with a 10k red arrow. Not disastrous but lost ground as most FPL managers had Richarlison. So if I look at my basic metrics for a gameweek then I’m off the pace. A gameweek rank just about 1.7m compared to 1 million as a target. 4 returners which is the minimum you’d hope for. 2 double figures which was something. Lastly a red arrow to 39k which is definitely not welcome. I had no Foster or Lacazette to bail me out like I have had in previous weeks. Mitrovic was my bailout which came to nothing. The lack of Chelsea and Man City clean sheets were very painful in addition given they should have been nailed on. So if you take someone like Raheem Sterling who is owned by 7% of the overall managers, and 6% of the top 10k going into GW11 and none of the 10 top FPL managers, then his 21 points doesn’t affect you negatively. If you did own him though, however, you should get a huge points boost depending on other factors in your team. However Richarlison who is owned by 52% of the top 10k and 7 of the 10 top FPL managers I follow, not to mention the top 6 managers above me in the FFGeek contributors league then his 15 points are definitely going to hurt. 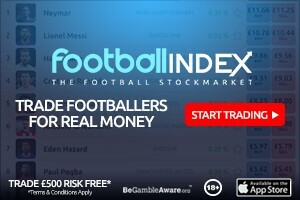 Neutralise the risk around the popular players and make ground around the margins. The issue becomes when you get boxed in by the template and find ground hard to make. However you just have to be patient. 50/50 captain choices and defence will always be areas to attack. One of the FFGeek contributors, Keith Spencer is an example of someone who doesn’t follow this mantra and has a much more fixture based strategy and I expect wouldn’t know FPL discovery if it hit him in the face. He’s incredibly successful, finishing the last 3 seasons in the top 10k and Joe, Rob and I regularly just go wow every week when we see what he’s done as he’s often very bold. He does suffer alot of rank volatility though although it doesn’t seem to faze him or make him any less bold. Saying that even his team at the moment is fairly template. You can see it in the part 3 contributors article. So Mitrovic away to Liverpool is the priority transfer. Away to Liverpool is a great exit point. It’s been 5 games with just 1 assist and his underlying stats have fallen away. He’s still shooting alot but not quality shots. Fulhams fixtures could also be better with only the Southampton game looking a decent one in the short term. I’ve mentioned Ings and Jimenez in the schedule as transfer options which I’ll talk about below. Vardy would be a positive move but difficult given his price. I don’t have an option for Fraser at the moment. There is Barkley but his blank and 63 minutes plus zero underlying stats and 1 shot and no key passes needs some monitoring to say the least. Other than that no one stands out at that price point. I’m not sure about £6.4m Pereyra. He’s a pretty inconsistent returner and his underlying stats are overall pretty terrible. £6.4m Lamela is a player I really like but what happens when Eriksen and Son return. So of the other monitor players I’ve got Foster who is really more of a proactive transfer but Fabianski with his fixtures when I get the chance. the 2 goals v Burnley was disturbing but they did only allow 6 shots so not to be discarded yet. Lastly there’s Hojbjerg upgraded to Murphy for not much additional cost which seems a nice to have transfer for the bench. As I said So at the moment I’m thinking of downgrading Mitrovic to either Ings or Jimenez. That would give me the funds to upgrade Ward to Richarlison in GW13 it also gives me some flexibility with 4 midfielders instead of 3. Hmm my inclination is towards Ings but I’ve got all week to mull over it and come up with any other thoughts. It would mean a striker against my GK which isn’t helpful. So in summary at the moment I expect Mitrovic out to Ings or Jimenez to raise cash for Ward out to Richarlison but that is a fluid situation. Hard to go past Salah this week given the fixture. I’ll put the poll up again after the European games and Friday press conferences as that seems to be the best way to get an accurate picture of what people are doing. Will the increasing money into the Premier League break up the top 6 and make the league more competitive? Thoughts on Murray given favourable fixtures? I guess it wouldn’t raise the necessary funds given the long term view on Richarlison but could be a reasonable straight swap. 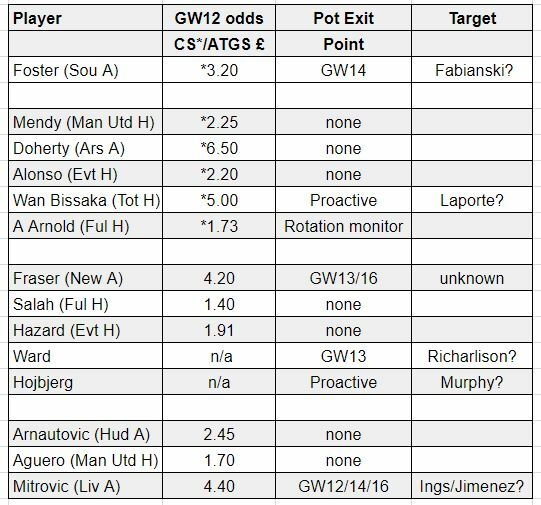 Geek, have u thought about 4-4-2 with success in for mitro; then get the Richarlison in for ward/h’berg. Issue is he will soon be behind Gray and Deeney but you may be able to even get dilva soon as differential given kdb injury. I believe Arnie and Richarlison had identical effect on the rank. 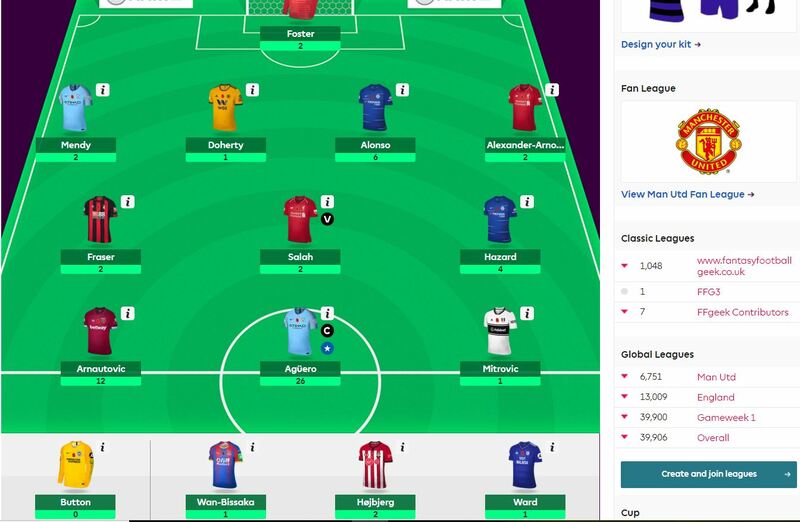 I didn’t have Arnie and I slipped to 32k with a GW rank of 1.2m. Most managers probably have either one of them, since having them both would mean a pretty weak bench plus an Ings/Hojbjerg in the XI. Like the Ings/Jimenez plan but have you thought of carrying over the FT so you can have 2 after IB? Like Richa, Jimenez can wait out the Arsenal fixture too and then come in for Cardiff and Huddersfield. Plus you’ll have the flexibility just in case something happens over the IB. Hi mate thanks for the comment. I have thought about carrying it over and haven’t ruled it out. The Mitrovic fixture is a bit of a disaster and it’s a good time to get him out is the main motivation. You are right though if I go for Jimenez I’ve got myself in a similar position which is one of the debates I’m having and one of the reasons I’m reluctant to go for him. Have you considered a proactive change for around GW15 (and so on) in getting Kane? selling Salah+ Agüero to get Sterling +Kane for example? I have no plan at the moment. I’m also not sure who of Hazard, Salah and Aguero that I would transfer out to get him. I may just see how things progress. It’s the sort of thing I would take a -4 hit for to sort out at the time if I thought it was going to be a problem.